MUSCAT - November, 2017: Al Mouj Golf hosted the fifth edition of the NBO Golf Classic Grand Final, a premier event on the European Challenge Tour, and the final destination of the Road to Oman. The four-day event, which kicked off on November 1st, witnessed competitive and outstanding golf played by top golfers from across the world. His Excellency Sultan bin Salem Al Habsi, Deputy Chairman of the Board of Governors of the Central Bank of Oman hit the ceremonial tee shot on the opening day. Sayyida Rawan Al Said, Chairperson of National Bank of Oman (NBO), Ahmed Al Musalmi, CEO of National Bank of Oman (NBO), and Ahmed Al Massan, Head of Finance and IT at Al Mouj Muscat attended the opening ceremony with other officials. The NBO Golf Classic Grand Final is the final stage of the European Challenge Tour’s ‘Road to Oman’ which has taken place in 21 different countries culminating in the Muscat season-ender. The top 45 players in the rankings took part for a chance to play on the European Tour next season. Clément Sordet claimed victory in the Grand Final while Tapio Pulkkanen became the Challenge Tour Number 1 and Road to Oman Champion. Al Mouj Golf became part of the Challenge Tour schedule since 2013 with the NBO Golf Classic, the penultimate event of the Challenge Tour season. Following the natural lines of Muscat's pristine coastline, Al Mouj Golf at Al Mouj, Muscat is an 18 hole, Par 72 links style course offering amateurs and professionals alike a challenging, yet rewarding, round of golf. Running alongside a 2-kilometre stretch of ocean frontage, the 7,342-yard course of lush green grass is peppered with bunkers, water hazards and natural dunes. Al Mouj Golf hosts the first golf academy in Muscat that has been designed to offer unrivalled levels of world class golf tuition for all ages and backgrounds. 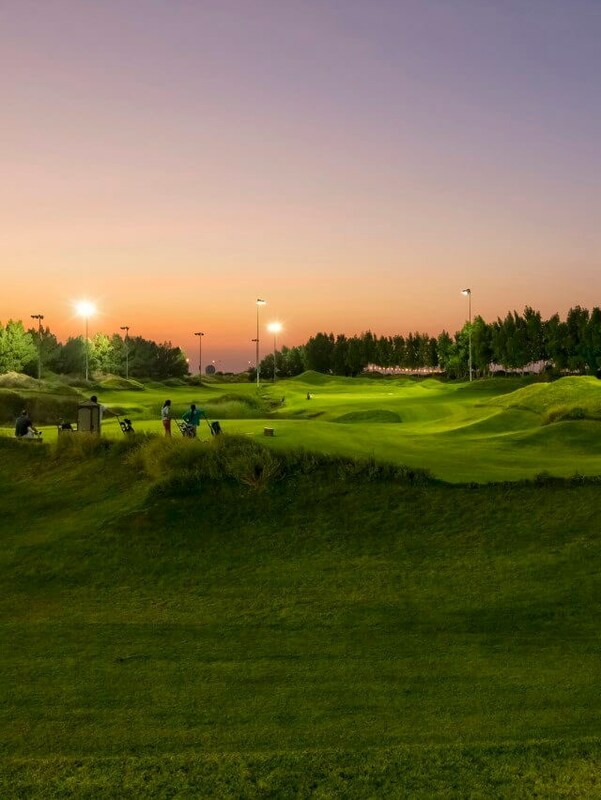 With a dedicated 9 hole Par 3 floodlit course, state of the art swing studio and an extensive driving range offering dedicated private tuition bays, the Academy at Al Mouj Golf caters to both complete beginners as well as more experienced. PGA accredited Professional instructors are on hand to improve the game of adults and children. The Academy at Al Mouj Golf also features a pro shop, which offers a wide selection of golfing clothing, accessories and equipment. Al Mouj Golf is an award-winning golf course winning; Best Golf Course of the Year (Under 500 AED) in the 2016 Middle East Golf Awards, and Ranked No.2 in the Middle East by Golf Digest. Spread along a stunning 6 km stretch of Muscat’s coastline, this world-class Integrated Tourism Complex comprises a group of luxury residential properties including Villas, Townhouses and Apartments, commercial units, retail and dining facilities and Oman’s only signature designed PGA Standard 18-hole links golf course, designed by Greg Norman. Al Mouj Muscat is also home to the 400 berth Almouj Marina, Oman’s largest private yachting hub and most recently The Walk, a 70-unit retail area which forms the commercial and leisure hub of the community.